Anyone who’s ever searched the name “Panerai” on the internet has probably read some posts by Alan Bloore. They probably initially learned about the watches, then later something about his personal story. And it’s impossible not to be tremendously moved by it. While drifting helplessly in the ocean as he waited for the rescue aircraft, Bloore suffered two heart attacks. It would be 12 weeks before he could start his recuperation. During this time, Bloore thought constantly about what life would be like without the use of his legs, without the ability to control his bladder or his bowels, without any sexual function. He spent the next six months relearning how to live; his entire life — every action, every moment, everything — would be irreversibly changed. 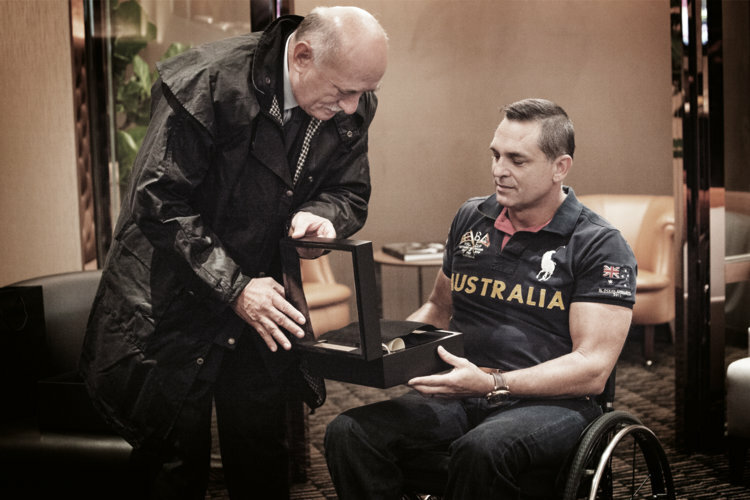 He started spinal rehabilitation programs immediately, always believing that if he tried hard enough, if he worked hard enough, if he sweated and bled for it, he would be able to compel himself to walk again. He must have thought to himself that if his sacrifice of pain would be an adequate demonstration of devotion, then surely his wish would be granted. 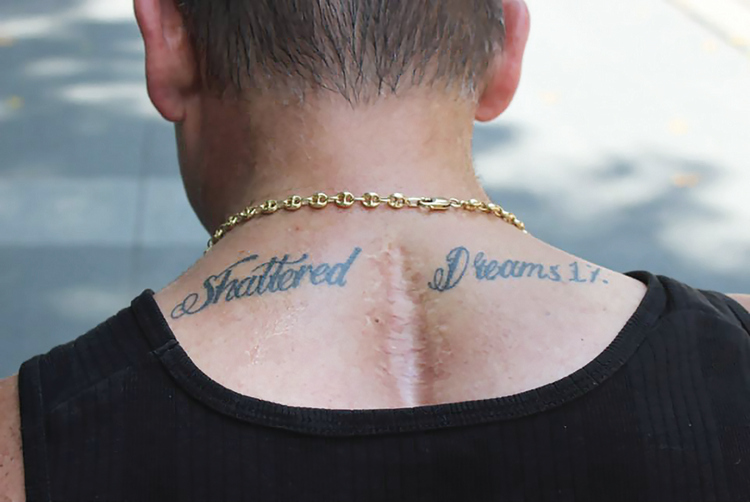 A year and a half after the injury, after he had destroyed both his shoulders while attempting to walk and had to have reconstructive surgery on both of them, it finally dawned on him with solemn finality that no matter how brave he was, no matter how courageously he fought, no matter how much pain he endured, he would not walk again. 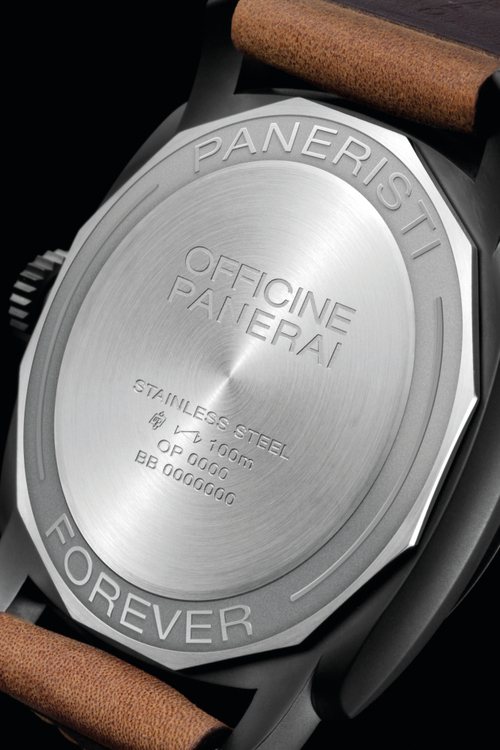 The PAM00532 is offered in a black-coated steel case and a personalised leather strap, with the caseback bearing the engraving “PANERISTI FOREVER”. He points to the CEO of Panerai, Angelo Bonati, and says, “It sounds ridiculous to say it, but if this man were not here, if he did not do what he did, I would not be alive today. 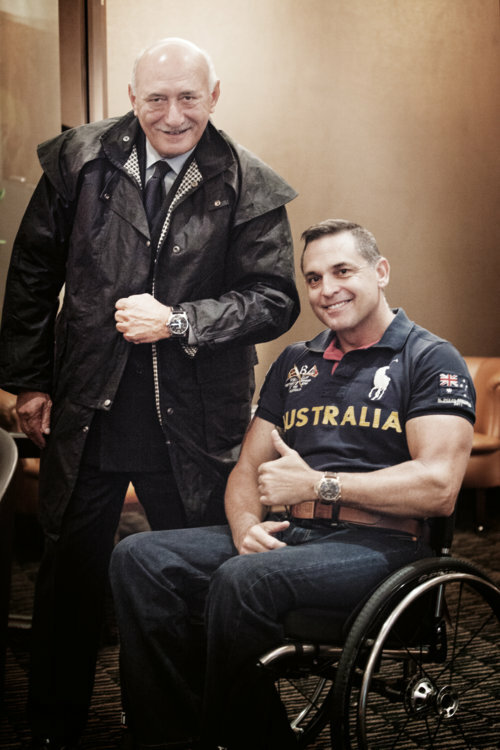 Panerai CEO Angelo Bonati with Alan Bloore, also known as ‘Hammer’ – while the two have shared a 14-year friendship over the internet, they finally met for the first time at the 2013 Paneristi event held in Singapore last October. 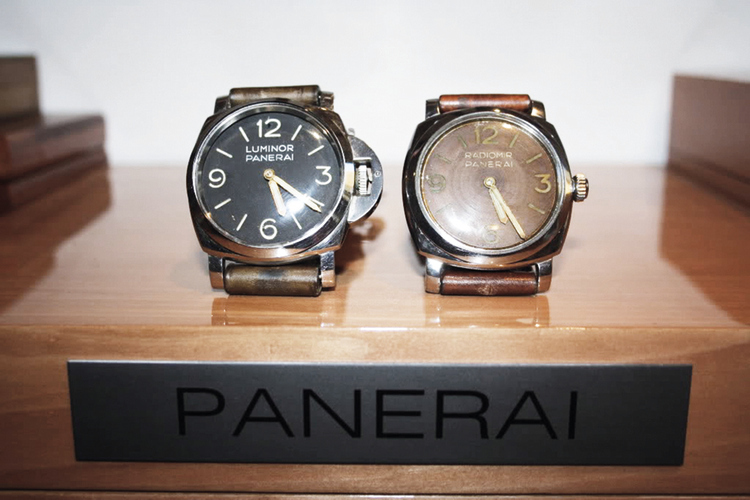 Hammer is one of the elder statesmen of Paneristi, a sort of spontaneously generated online meeting place that arose soon after the Richemont group’s introduction of Panerai into the global marketplace. While other websites are forums for horological genuflection and intellectual opining, there is a certain frat-house element to Paneristi that makes it unique. First, there is the sense of genuine brotherhood. 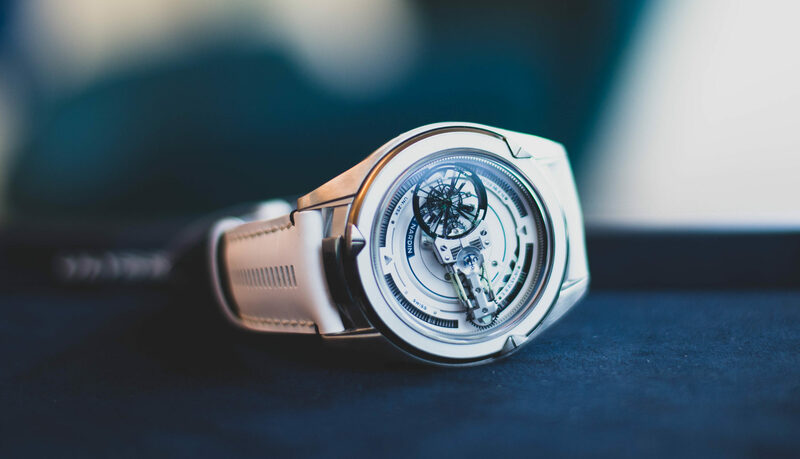 Hammer, for example, actually has the word “Paneristi” tattooed on his wrist — something that’s hard to imagine a Patek fan, or even a vintage-Rolex enthusiast, doing. Second, there is the air of good-natured rowdiness. Your average Paneristi is a big guy. These are not guys who skip the carbs; in fact, it seems that one of the primary sources of entertainment for the Paneristis is their get-togethers (“GTGs”) that revolve around orgies of food and drink, and which are crowned by the requisite table shot where their watches are piled high like the spoils of vanquished enemies. The other Paneristi constant is the “chillaxing with my beer” photograph, in which a Paneristi will hang his watch on his cold beverage, kick up his invariably bare feet, and photograph this mise-en-scène with the unbridled enthusiasm of a Flemish still-life master. The photograph could be from Indonesia or Indiana, but one of the genuinely nice things about Paneristi is the internationalism of the community, with guys in Singapore — one of the largest chapters — tight with the guys in the United States. In this context, Paneristi completely transcends cultural differences. 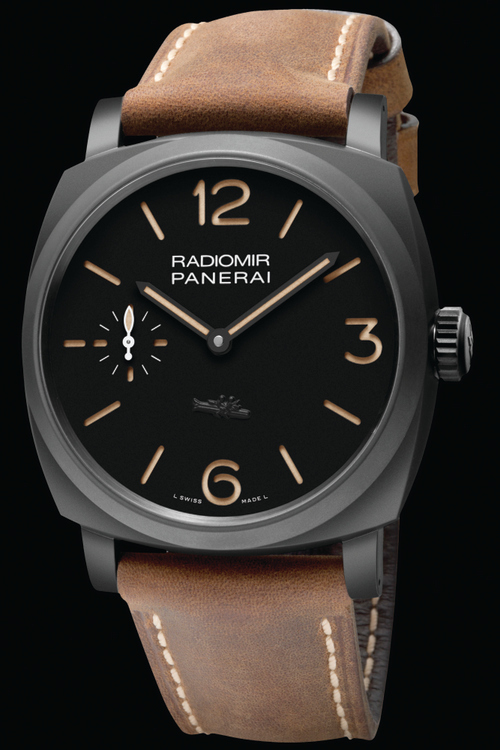 It might not be a far stretch to say that if you were to give out enough Panerai watches, enough steaks and enough beers, through Paneristi, you might just be able to bring about world peace. Finally, Paneristis can be from any walk of life — they can be bus drivers, architects, hedge-fund guys or cage fighters. It is one of the most thoroughly egalitarian forums on the internet. 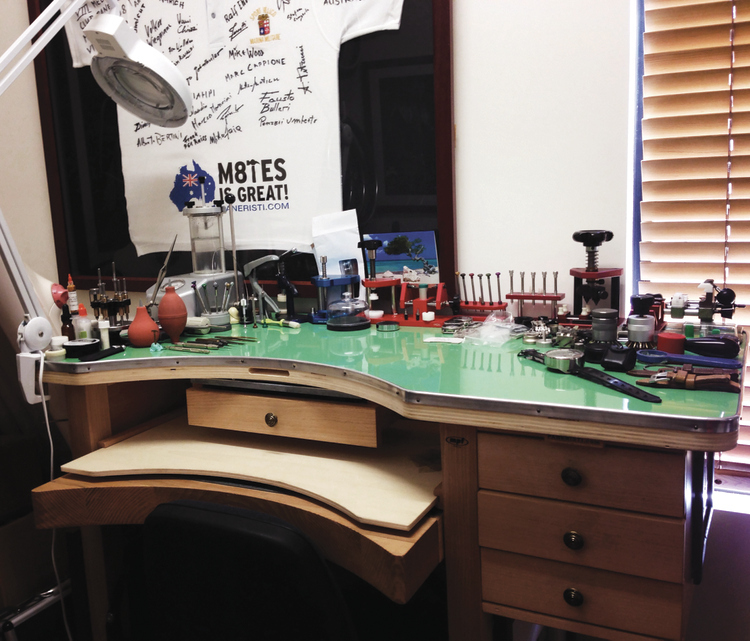 Since Paneristi’s inception by watch collector Guy Verbist, several key forum members have, one after another — through their enthusiasm, their desire to educate and their unbridled passion to become the guardians of this site — taken the reins of the site over the years. One of them is Volker Wiegmann, and another is one of the site’s current owners, Paddy Conway; but perhaps the most beloved of these is Hammer, who often posts in what would become his signature stream-of-consciousness Aussie-speak, invoking now-ubiquitously-used mottos like “Mates is Great”. If the other moderators represent the site’s intellectual equity, then Hammer is heart of Paneristi. For almost a decade and a half, he has always been there to reassure, to enlighten, to guide and to spread affection and passion. His memory is incredible. I tell him that I’ve only posted once, ever, on Paneristi. (Back in 2004, I’d interviewed Angelo Bonati for the first time and he told me he was going to create in-house movements and transform the brand into a true manufacture.) To this, Hammer says, “I remember!” He has always been a tireless bridge between the brand and the Panerai collector community. 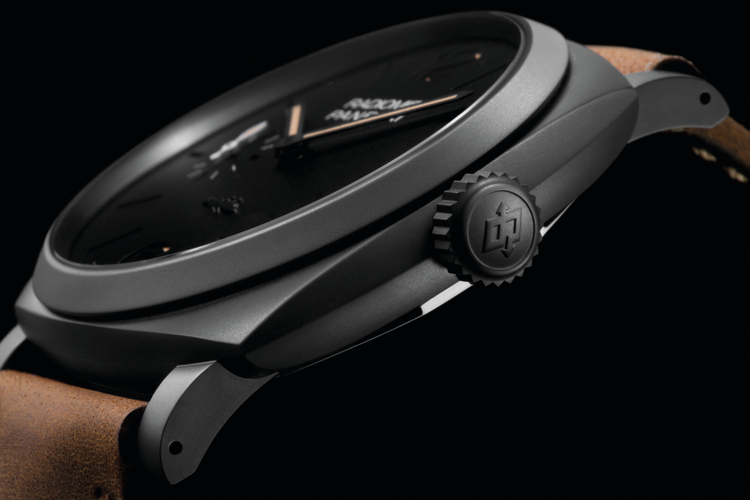 PAM00021, the first Panerai watch created under Angelo Bonati’s leadership – and the first ‘serious’ Panerai watch that Hammer acquired. 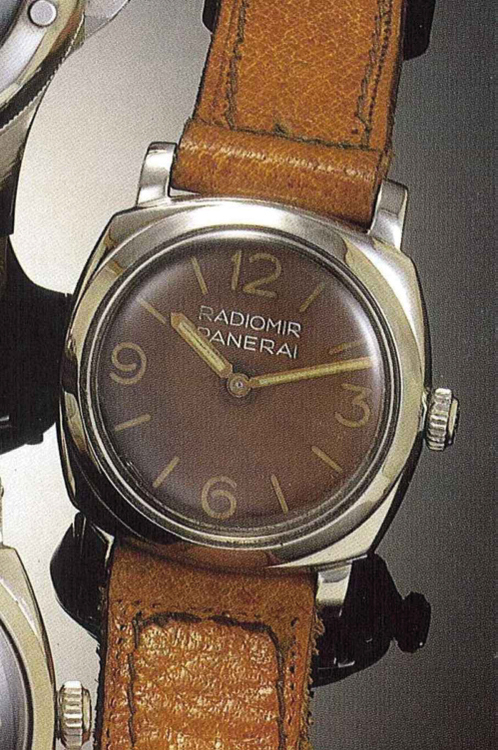 But the very first “serious” Panerai that Hammer bought was also the first watch Angelo Bonati produced, and it is, to this day, one of his most legendary. 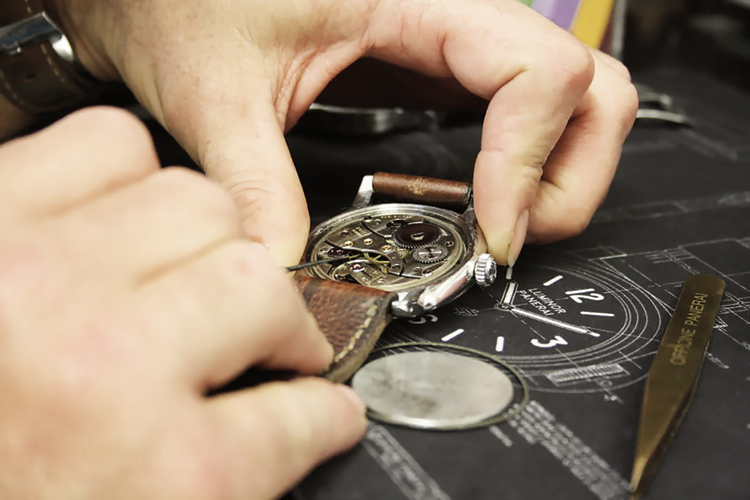 The story goes that upon taking over the brand, Bonati and his team rummaged around their basement and found 60 new old-stock vintage Rolex movements. 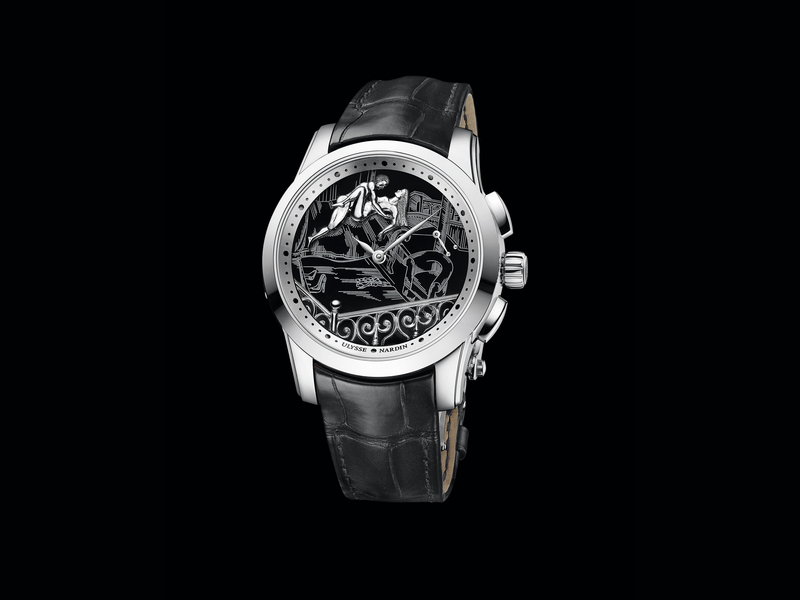 He then put these movements inside a stunning platinum-cased Radiomir (PAM00021). Fittingly, it was one of these watches that found its way onto Hammer’s wrist. If he is daunted by what the future holds, he seems to face it with a sense of profound stoicism. 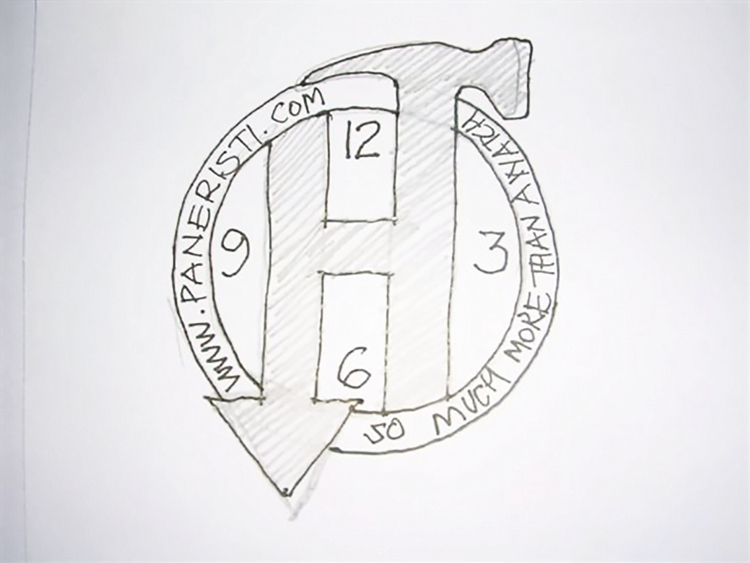 He explains, “On my wrist where I wear my watch, I have the word ‘Paneristi’ tattooed. The only time I take my watch off is when I go for surgery. And every time the anesthesiologist is about to put me under, I look at this tattoo to remind me of all the things I love. It makes me feel strong. The last time I was in the hospital, I noticed that I have enough space around my wrist to add the word ‘forever’ and I thought, ‘You dumbass, why didn’t you do that? Looks unfinished! But now I know why: things happen for a reason, [and] I really believe that we have no choice as to what comes to us in this life, but we do get to choose what we do, going forward. This is what defines each of us as individual human spirits! That’s the real measure of success in life. I will get the gap on my wrist filled as soon as possible, so it will read ‘Paneristi Forever’ and go 360° [around my wrist] — perfect!” I hope Hammer knows that Angelo Bonati, every single Paneristi on the planet and I look forward to shaking hands with him and checking out his new tattoo in all its glory.